The Meridian Tapping / EFT Technique is easy to learn, but requires a little practice and perseverance at times. Some issues are more complex than others and may require more time, and the guidance of a trained therapist, in order to get positive results. Your brain is made up of 100 Billion neurons (brain cells) that each connect electrochemically with as many as 10 thousand other neurons. We now know that the brain can re-route its pathways, and the seemingly infinite number of possible connections can allow us to transform the way we feel, think and act, as well as heal even long-standing, chronic, and "physical" problems. Eastern healing methods like acupuncture have worked with the body's energy system for thousands of years in order to create physical and emotional health. Now, combined with the insights of modern psychology, these ancient healing arts can be applied to a wide range of emotional or psychological issues, by tapping on various points on the body while focusing on the symptom, pain, or troublesome thought that you wish to eliminate. EFT/Tapping, like other Energy Psychology techniques, works both on a psychological/mind level as well as a physical/energetic level in order to release or neutralize a thought, feeling, or physical sensation that has been persistent and disturbing... and the same tapping technique can also be then used to reprogram the mind to accept a new thought, idea or belief that you consciously choose to hold. As such, the list of issues that can be alleviated, and the potential for positive change and transformation is vast. Register now for upcoming Unlimited Possibilities Tapping Webinars! 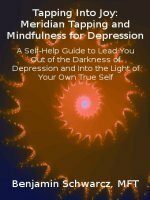 The Meridian Tapping / EFT Technique can be applied to yourself, or applied or guided by a therapist or doctor. 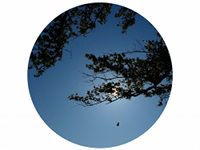 It is recommended that you receive the guidance of a professional for complex or intense traumas or psychological issues that you are uncertain about. This article is not intended to instruct you in the use of EFT Tapping on yourself, and is only meant to give basic information about the technique so that you may have a better idea about what it is. Extensive tutorials and information are available for free at: www.emofree.com - the website of EFT founder Gary Craig and his daughter Tina Craig. 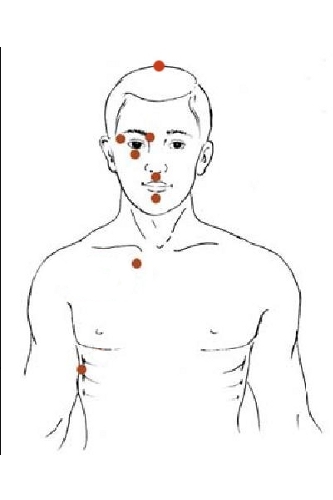 EFT Tapping involves focusing on an issue (negative emotion, upsetting memory or situation) and verbalizing aspects of that issue or scene, while tapping a series of acupressure points that bring down the intensity of the thought/feeling/memory. This can be a meticulous and detailed process in some cases, which is why it is easiest, and sometimes essential to work with a trained practitioner, if you want to achieve the best results in the safest way. Tapping often works on issues that have lingered for long periods of time, and not been alleviated by other more conventional methods. First, the side of the hand, referred to as "karate chop point"
Please note, this is only a brief, general explanation of the EFT technique. The guidance of a trained EFT Practitioner is important to achieve the best results and to avoid getting into emotional material that you don't know how to get yourself back out of. Enter your E-mail for Free Tips for EFT Success! DISCLAIMER: The information about the Meridian Tapping / EFT technique on this website, while based on the original EFT technique taught by the originator Gary Craig (of www.emofree.com), is not affiliated with Gary Craig and does not represent his complete, original technique. Meridian Tapping has numerous variations and styles that vary among different practitioners. However the basic methodology and principles remain the same. Free Tips for Tapping Success!